Hi Folks! 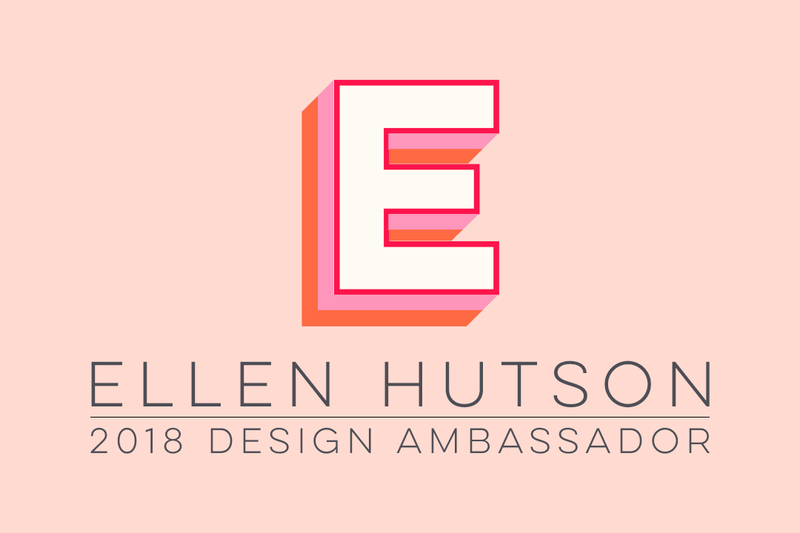 We've got a new release live for Ellen Hutson, with several new stencil dies for really versatile backgrounds! The Scallop Die is so perfect for creating backgrounds for anything you have involving water ... mermaids, boats, beach, shells, fish, and yes, whales! 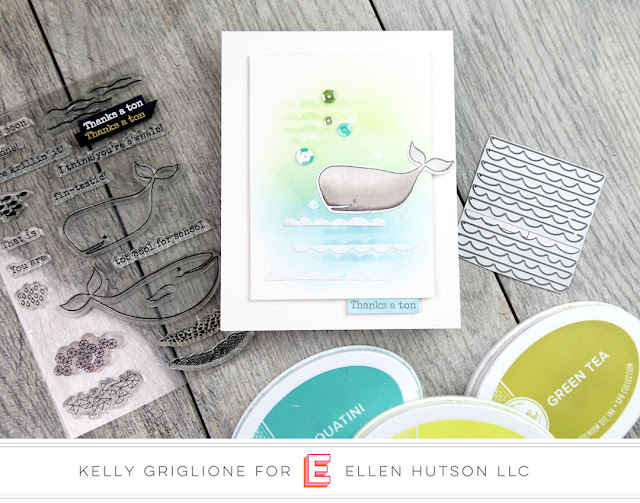 The S'whale set came out earlier this year, but it's such a cute one with two different whales, a school of fish, and lots of punny sentiments like this "thanks a ton." 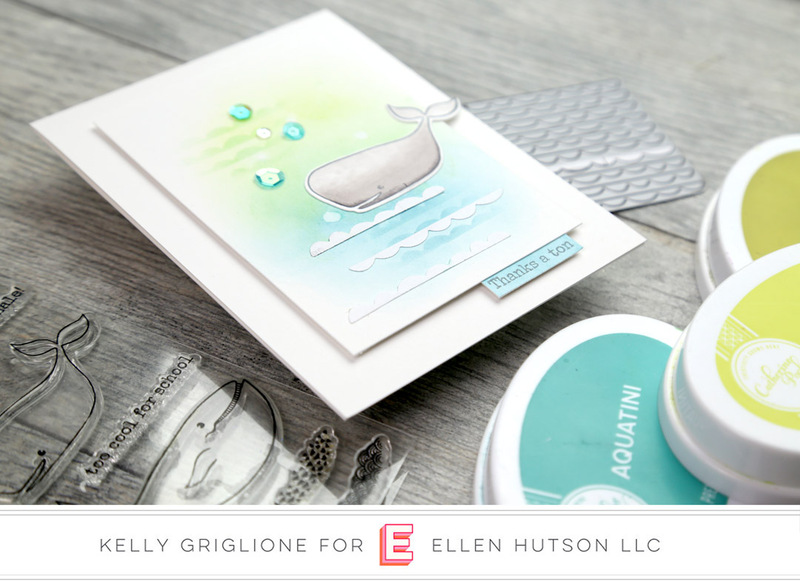 To make the background, I used both the positive, white pieces of the scallop die for the foam on the crests, and stenciled green and blue portions of the scallop die for the actual waves. A little ink blending, a few sequins, and that was really it for this card. Recently it occurred to me that I haven't been showing you the insides of the cards since so much of the photography is flat-lay nowadays. So this time I made sure to include a photo with a peek into the inside. 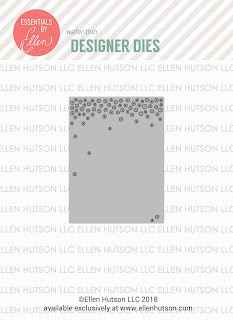 Another die in the stencil die series is the Snowfall die. The intention of this die is to provide a nice snowfall effect for any winter scene you may be creating on your card. It's nice because it's a smaller size, so you don't feel like you have to use the entire card creating a magical winter wonderland. Just a 2x3 rectangle. Die cutting this snow scene out of copy paper and using it for a stencil will make nice backgrounds for things like the Alpine Window dies. However, if you rotate this die 90 degrees three more times, you're left with a wonderful frame of confetti to feature your exciting news! I love that you can see through to the inside of the card below. After inking around my square of confetti, I stamped my "big" sentiment from Totally Random Sayings Vol 2 several times to frame the whole card. Two different ways to use this new Snowfall die! 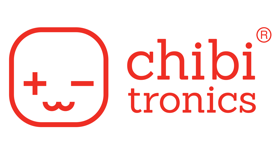 Thanks so much for looking! Check out all the other items in the new release!! 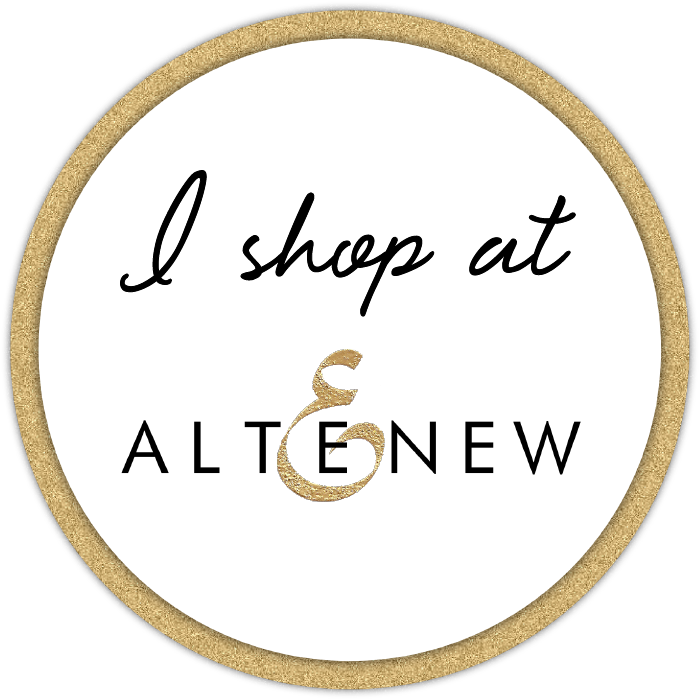 I love seeing these new products through your eyes Kelly! 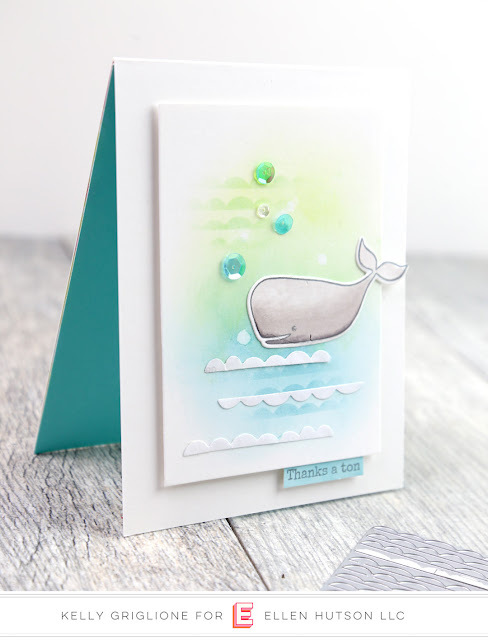 The whale card is so darn cute! Bought those dies right away before they were OOS and have yet to use them. I love the idea of stamping the snowfall all around the edge, Kelly. 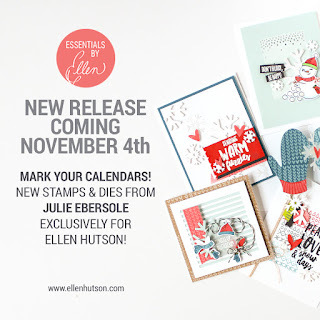 Making Merry with Julie Ebersole - GIVEAWAY!